Over its 50 year lifespan, the NFL's championship game has done a better job than any other sporting event of attracting viewers who have little to no interest in the sport. Gratuitous halftime shows starring some of the biggest musicians in the world is certainly one draw for non-fans, but the game has also become the biggest day of the year for advertisers in the US, for once making the many commercial breaks actually enjoyable to the viewer. Budgets are huge, humor is a must, and high-profile cameos are almost a certainty at this point. 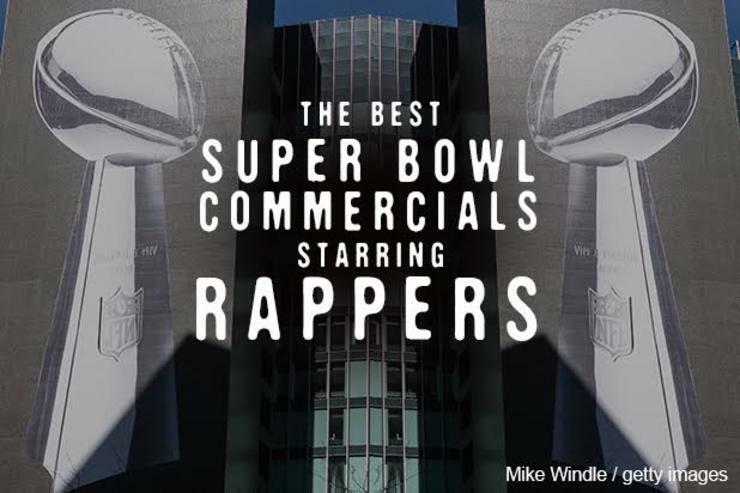 This year, Super Bowl 50 ads will feature an unprecedented number of rappers and R&B singers, with Drake repping for T-Mobile, Lil Wayne starring in an Apartments.com spot, and both Kendrick Lamar and The Weeknd appearing in a Grammys ad. It'll definitely be hip hop's biggest showing in Super Bowl advertisement history, but there have been a few odd rap-themed ones in the past. 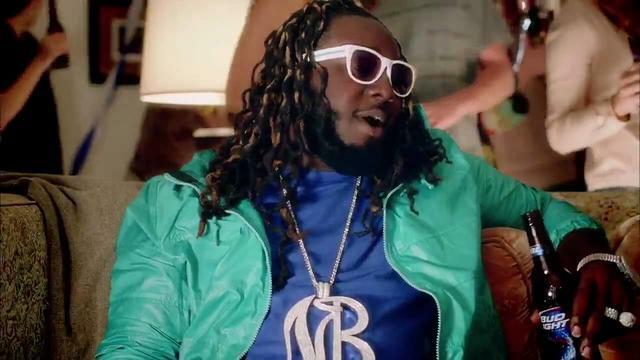 Whether hilarious, cringeworthy, or downright pitiful, here are past Super Bowl TV spots that have starred rappers. Doritos few years back, Doritos devised an ingenious way of producing Super Bowl ad spots, effectively crowdsourcing the whole operation. People submit ideas, and a few winners are picked to air during the game. In 2012, Pizza Hut put a spin on that, inviting fans to write 30 second raps about their new ten dollar deal. Virtually unknown rapper Supa Dave won, with his televised 16 featuring #BARZ such as, "It's not about the Benjamins, just ten George Washingtons." Needless to say, it's slim pickings when it comes to rappers on Super Bowl commercials. 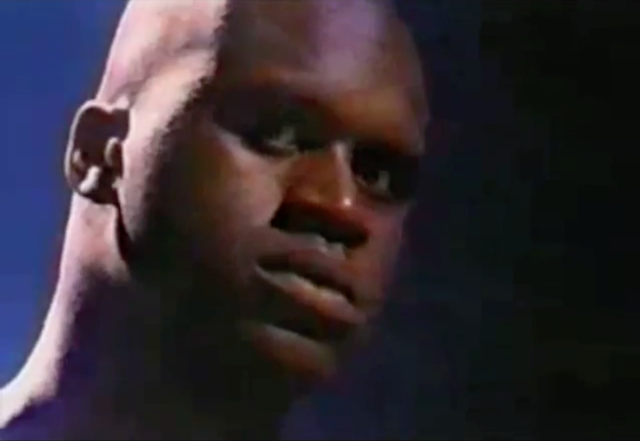 Ball player/rapper/actor Shaq barely raps in this call-and-response "song" that consists of him asking fans if they want him to shoot (no! ), pass (no! ), or slam (yeah! 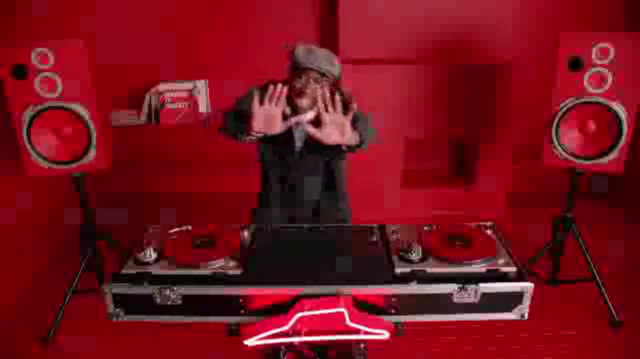 ), but this spot gets props for being the very first SB ad to feature anything resembling hip hop. Shoutout to the nun who shows up midway through this ad. 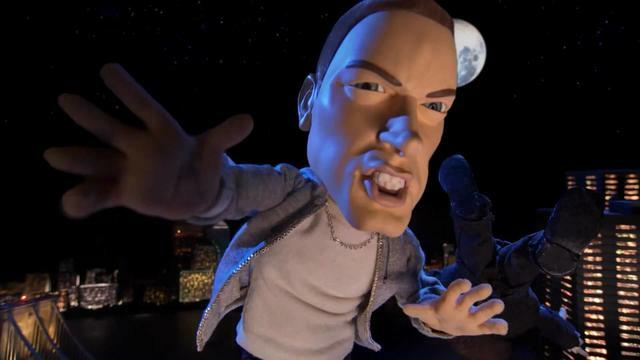 Back when Brisk Iced Tea was doing their weird claymation ad campaign (other highlights include the Ozzy Osborne and Star Wars spots), they chose Eminem to appear in the biggest one of all. The 30-second ad plays on his famously prickly demeanor, with his cartoon self explaining why he rarely does ads. A little hypocritical, but that's what makes it funny. If we're being real, making fun of auto-tune kind of died out right when The Lonely Island released "I'm On A Boat" in early 2009. But in a Hillary-dabbing-on-"Ellen" type of move, Bud Light only caught on a year later. The first 25 seconds of this spot are cringeworthy, with four bros using the technology in ways that most likely made Roger Troutman roll over in his grave, but then Teddy Pain shows up and shows us the true beauty of the word "guacamole." Em's the only rapper who's appeared in two Super Bowl spots (apparently being white makes you more marketable than rappers who haven't released songs as gruesome as "Kim"), and the second of these two 2011 ads is the clear winner. 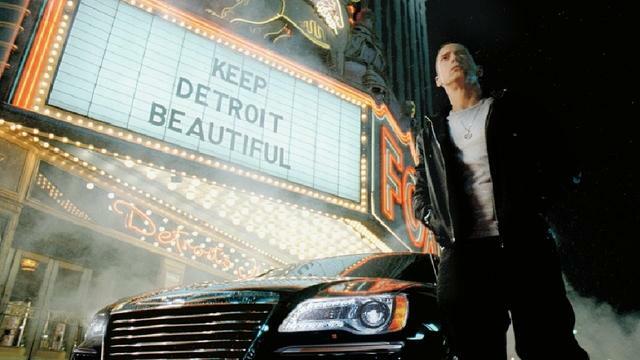 Planned after the 2008 financial crisis left Detroit's auto industry in shambles, this Chrysler ad made him a true symbol of his city, featuring both him and his Oscar-winning song "Lose Yourself." Obviously, his music has also become more parent-friendly and pop-minded, but this ad also definitely helped him become an icon among non-rap fans. Even though it's the night when huge national corporations shell out millions for TV time, a few low-budget local ads air during the game. If you were lucky enough to watch the game in the Columbus, Georgia area last year, you were in for a real treat. We're all used to cheesy attorney-at-law ads (better call Saul!! ), but one Mark Jones went above and beyond for this commercial, reaching out to a rapper with a name similar to his. According to his website, Mark had been a "big fan" of Mike's and had repeatedly asked him to appear in an ad, but it wasn't until a year ago that the stars aligned, bringing together the two Joneses in some form of cosmic alignment for this masterpiece. In addition to letting Mark live out his fantasy of a "Who? 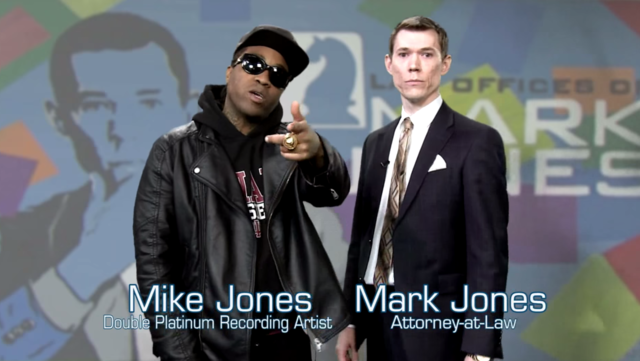 Mark Jones" call-and-response, Mike also composed a jingle for the spot. Legendary. 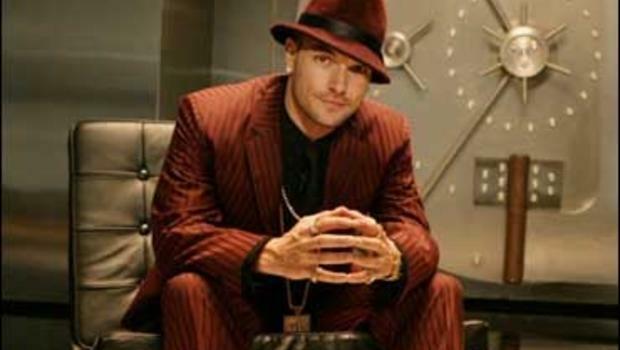 By 2009, Kevin Federline was just a speck in pop culture's rearview mirror, with his two-year marriage to Britney Spears and failed rap career existing only as punchlines at that point. In an extremely meta move, Federline showed that he was desperate enough for cash by starring in an ad that was scarily close to his actual life story. Nationwide created one of the most convincing cases for annuities (basically a form of insurance that pays you a flat sum annually), showing how K Fed went from Ferraris and furs to fry cook in a matter of years. The phrase "Life comes at you fast" has never hit harder.